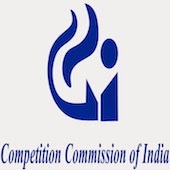 Online Application Details for Competition Commission of India CCI Recruitment of 3 Advisor and 1 Director is given below. Application form and duly attested documents are to be sent to The Deputy Director (HR), Competition Commission Of India, 3rd Floor, Hindustan Times House, 18-20, Kasturba Gandhi Marg, New Delhi-110001. In envelope super scribed with 'Application for the Post of Post Name'.